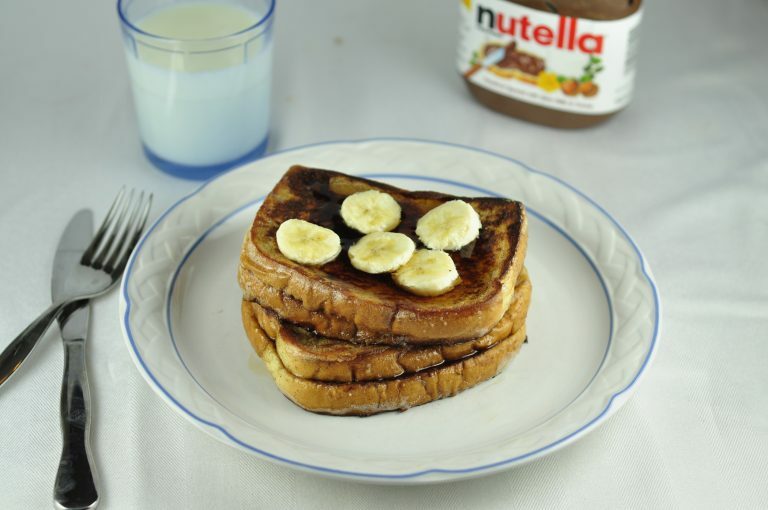 This Banana and Nutella Stuffed French Toast recipe is a quick and easy sweet breakfast indulgence that you will make again and again! Hello and welcome to your new favorite breakfast recipe! This Banana and Nutella Stuffed French Toast is so indulgent but absolutely necessary once in a while. 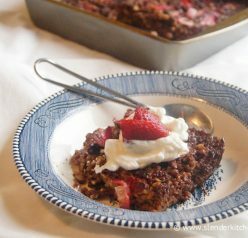 I am loving sweet breakfast foods lately! Whenever Nutella is added to anything I’m completely sold on it. Today is a snow day for all of the schools here in Rochester. It’s not even about the snow, but mostly about the -30 degree wind chills. This weather is crazy lately! “What the heck is brinner?”, perhaps you may be wondering. It is breakfast food for dinner and it’s a fun thing to do once in a while. Who doesn’t love a good breakfast for dinner? Nobody, that’s who. Why else would Denny’s and IHOP still be in business if people merely wanted to eat dinner just at dinnertime?! Mr. Wishes would argue that breakfast should be eaten for every single meal of the day. He’s crazy like that. You can also, of course, have this at normal breakfast time…or even lunch. You will also love this Crock Pot Cinnamon Bun French Toast. Whatever your little heart desires! 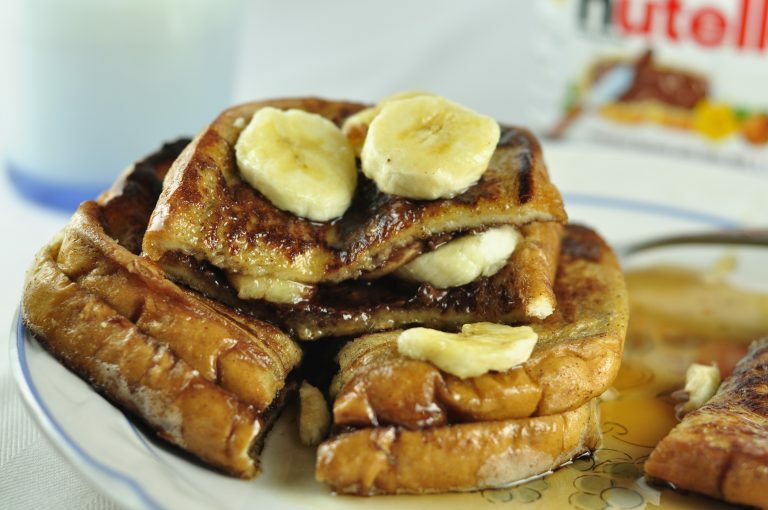 You should also try this Bananas Foster French Toast! Using a sharp knife, cut a pocket inside each slice of bread, unless you are using 2 separate slices. Spread a portion of the Nutella inside each pocket and then layer in the sliced bananas. Pre-heat a large skillet over medium heat and add enough butter to liberally coat the bottom of the pan. Make sure the pan is hot, but not smoking. 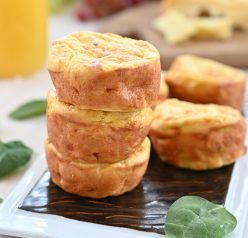 Whisk together the heavy cream, eggs, cinnamon and sugar in a medium bowl, and then dip each filled bread pocket into the mixture ensuring the bread is fully soaked on all sides. Repeat with the remaining filled bread pockets. In batches, fry the soaked slices of bread until the egg mixture is fully cooked, about 3 minutes per side. Make sure to watch that they don't burn. Top the French toast with additional banana slices and serve warm with a drizzle of maple syrup. « Previous PostOld-Fashioned Peanut Butter Pancakes + BIG ANNOUNCEMENT! Wow – you can never go wrong with nutella, but this looks so super amazing… love the idea of ‘stuffing’ the french toast like a sandwich! Oh noes! Where was this recipe when I was having plain old French toast for breakfast this morning. This would have been DIVINE! 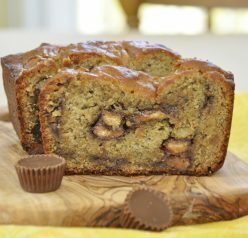 Waaa…… this is looks great, for chocolate big fan, couldn’t resist the delightful of nutella and slices banana, that’s perfect combination. event much perfect, the toast coated with crean, egg and cinnamon mixture, would try it! Thanks for the nice comment, Tya! Yum! I would love to have this for dinner any night. Sooooo I made french toast this morning… Had I known THIS existed prior to my noms I would have been the happiest little girl in all the world! LOL! That’s hilarious. thanks for the comment! So – I will admit I have never actually had french toast. I don’t know it just never intrigued me. This look SO GOOD!! What a great treat (or dinner, in this case!). It was delicious! Thanks for commenting, Mary Ellen! This looks so good! I’m yet to use nutella in my breakfast but this sounds so tasty I might be trying it out very soon! Great post! Thank you, Lacy! Definitely give it a try! This looks amazing! Can’t go wrong with bananas and Nutella. Yum! Oh Em Gee. These will be on the table this weekend. Period. I love that you call it “Brinner”. My friends and I referre to it as “B for D”. Can’t wait to try this tasty treat at our next B for D dinner party. if i don’t have to worry about my weight, i’m going to have this everyday!! Also, this dish looks incredibly delicious!! Awww thanks for that sweet comment! I’m off to check out your page now, too! Oh my gosh…I will have to make this for my son! He will devour Nutella straight out of the jar so he is gonna love this!! Him and I have something in common! 😉 Thanks for commenting! Oh my goodness; this looks incredible! 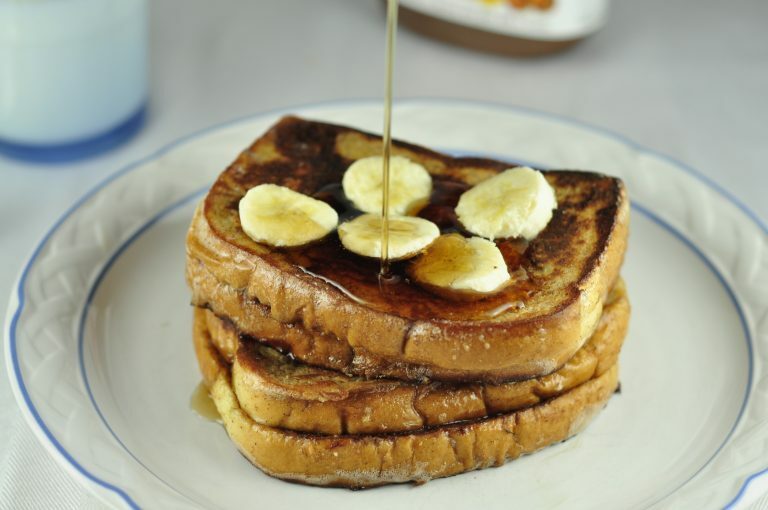 I can’t wait to try this french toast–possibly tomorrow morning! 🙂 Love your blog! WE frequently have breakfast for dinner too, especially when Daddy is working late. My kids would be total heaven if I served this up to them!! Brilliant. Ashley – just clicked over to this recipe from your other posts. This looks RIGHT up my alley. After my granola today, you can see how much I love nutella and banana together! this looks like a breakfast fit for a queen!! Sometimes “brinner” is such a quick and easy dinner idea. Thanks for commenting! Oh my goodness! Banana plus nutella! I’m in love! Yummy! That looks incredible! I have never mixed banana and nutella but right now my mouth is watering just thinking about it! The flavors together are amazing! Wow! What a delicious looking breakfast – so perfect for a cool weekend! So glad you enjoyed my recipe! I’m thrilled to have found your blog! Thanks, Kelly! I love your blog! 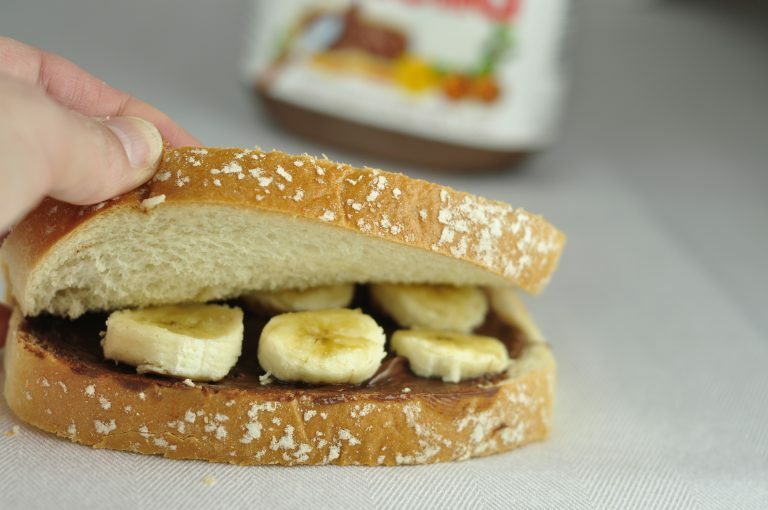 Banana and Nutella together are unstoppable! 🙂 Thanks for commenting, Jayne! Oh my! I usually add Nutella in my French Toasts too…but not banana! What a delicious combo! Can’t wait to try it next time I make French Toasts. 😀 Thanks for sharing. 🙂 Yes, breakfast for dinner is the best!